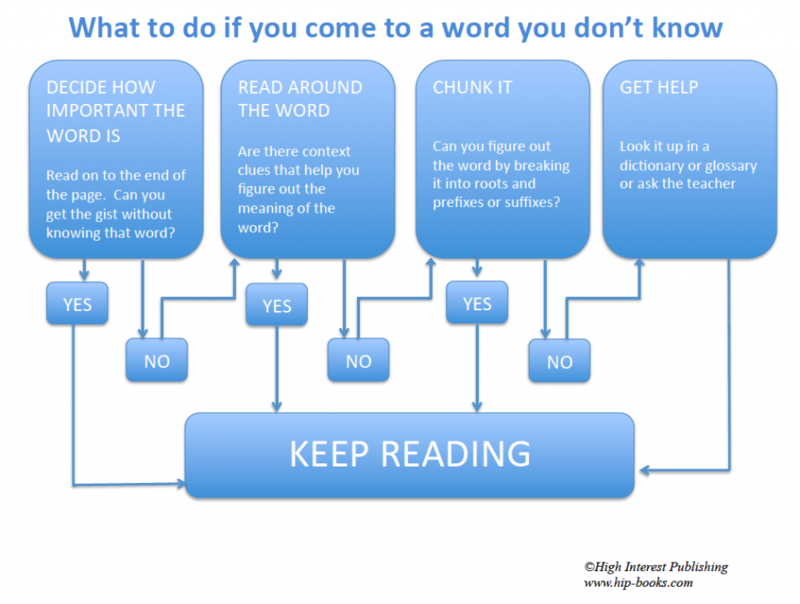 Most upper grade readers don’t have a problem with decoding, but many are hampered by inadequate vocabulary and background knowledge. What do we know about English Vocabulary? Printed school English (Grades 3-9) consists of about 88,500 word families; if multiple meanings, idioms and proper nouns are included, that figure would increase to about 180,000 words (Nagy and Anderson, 1984). 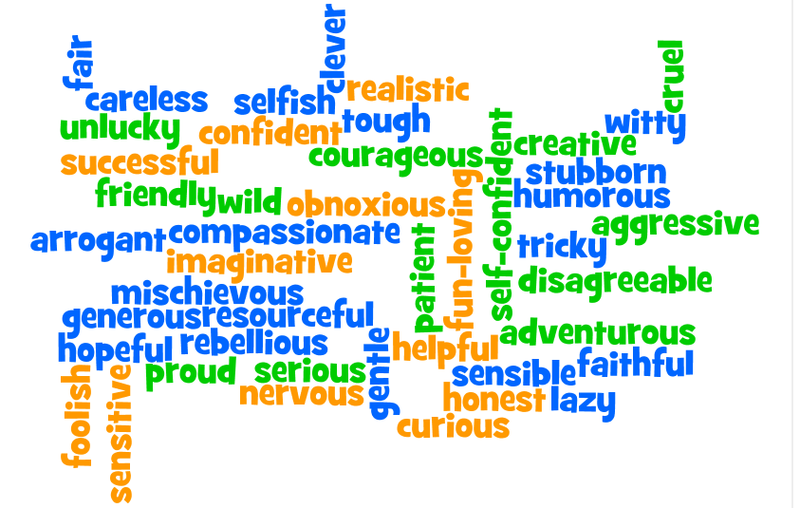 For more information on Vocabulary, check out Susan Ebbers’s interesting Vocabulogic blog. 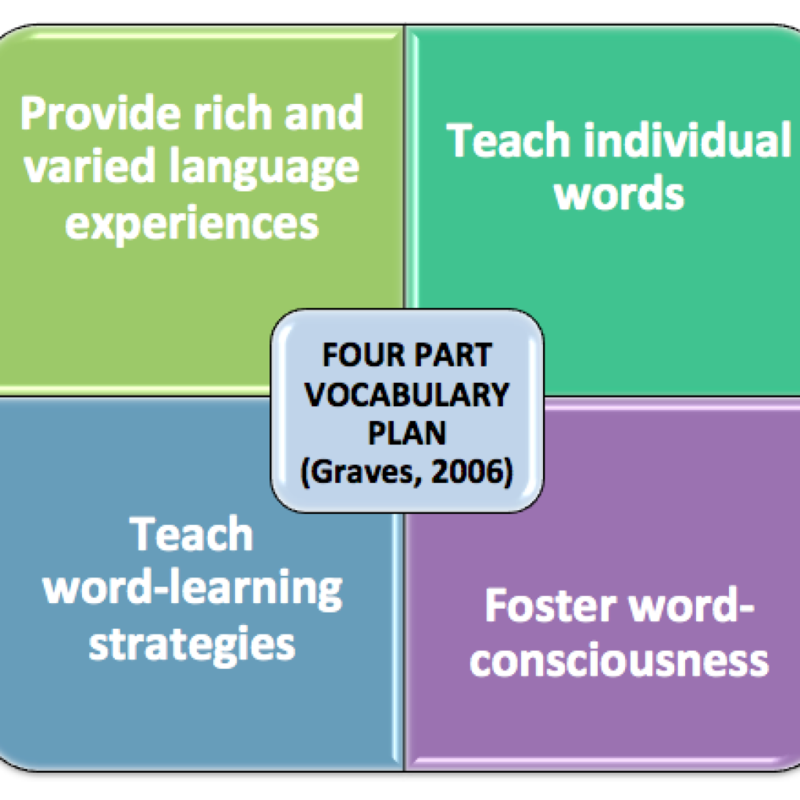 Vocabulary expert Michael Graves tells us that robust vocabulary instruction should consist of four components. We learn many words informally just by being immersed in a fertile vocabulary environment. This includes hearing complex texts read aloud and hearing rich discussions. This includes explicit instruction in both Tier 3 (technical terminology pertinent to content area studies) and Tier 2 (“book language”) vocabulary. “Word-consciousness” refers to an awareness of and interest in words and their meanings. This involves teaching about word origins, relationships with other words, and ways to put words together most effectively. Word games and word play are excellent tools for fostering an interest in and curiosity about words. Check out these HOLIDAY WORD GAMES for some December fun. Outside the Word, Inside the Word: A combination of context clues and morphological chunks is the most effective system for word-solving beyond primary grades. 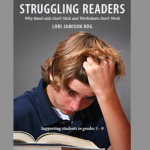 This is an excerpt from Lori Jamison Rog’s book Struggling Readers: Why Band-aids Don’t Stick and Worksheets Don’t Work.